Windows, macOS, iOS and Android have been released. Amazon Chime is now optimized for the iPhone X and users can enjoy full resolution on iPad Pro and a native UI and on-screen keyboards for iPad. To make more informed decisions and understand Amazon Chime adoption by their organization's users, IT administrators can access usage and user feedback data directly from the Amazon Chime console. The report provides the last four weeks of data and includes the current total number of registered users and that week's active users (users who sent a message and/or attended a meeting), total number of meetings, and the percentage of positive meeting feedback received. Learn more here https://docs.aws.amazon.com/chime/latest/ag/view-reports.html and https://answers.chime.aws/articles/474/amazon-chime-dashboard-report.html. 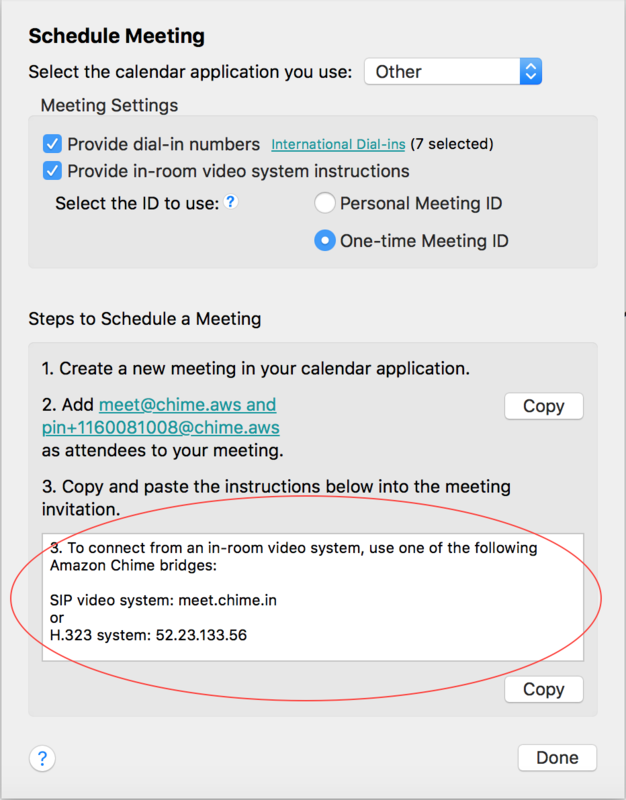 Amazon Chime now supports SIP video conferencing in addition to H.323. Learn more here https://aws.amazon.com/about-aws/whats-new/2018/01/amazon-chime-now-supports-sip-based-in-room-video-conference-systems/ and https://answers.chime.aws/articles/107/in-room-video-conference-room-compatibility-h323-1.html. The new SIP access point is now included in the client scheduled meeting instructions and the Amazon Chime for Outlook add-in. Resolved an issue found when users change their email address to a different email domain. Increased the number of digits in the PIN that the web screen viewer accepts to 13 digits when viewing shared screen. Resolved an issue with downloading recordings which contained non-ASCII characters in the meeting name.